July 3rd 1988. The USS Vincennes, the most advanced missile frigate in the US Navy, was patrolling waters in the Persian Gulf, at the end of the Iran-Iraq war. The crew of the Vincennes were engaged in multiple activities – a battle with an Iranian gunboat, which had attacked the ship’s helicopter and monitoring an Iranian military aircraft 60 miles away. At 0947hrs the ship’s Aegis radar picked up a distant blip, alerting operators in ‘Air Alley’, the row of personnel handling air warfare whose task it was to identify any air traffic within range of the ship. The radar system asked the incoming plane: Identify, Friend or Foe? The unidentified plane automatically responded with a civilian call sign. The Navy’s list of commercial flights over the gulf was checked, but no flight for this time and position was found. Discussions ensued as to whether this could be an Iranian warplane. A warning to the plane was flashed over international distress frequencies. The plane seemed too high to be on an attack approach. Further warnings were dispatched and unanswered. Suddenly, the aircraft was noted to be descending and picking up speed; 455 knots with an altitude of 7,800 feet and descending. Was this an Iranian F-14 launching an attack on a US Navy warship? The ship’s Captain had a short decision window as the plane was closing on their position at 5 miles per minute. In reality, no such thing was happening – the plane was at 12,000 feet, ascending at 380 knots. Iran Air flight 655 en route to Dubai was 27 minutes behind its scheduled departure time. 10 miles from the USS Vincennes the aircraft’s Captain reported to air traffic control that he had reached his first checkpoint crossing the gulf. “Have a nice day’ the tower radioed, to which the pilot replied “Thank you, good day.” 30 seconds later the aircraft’s left wing was blown off by the first of two missiles from the Vincennes. All 290 passengers and crew on board died. 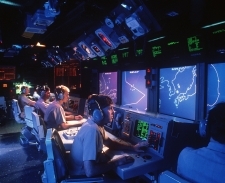 In the wake of incidents like the USS Vincennes, where highly skilled military personnel made decisions with catastrophic consequences, the 1980s saw psychologists begin to develop techniques to examine performers in decision-critical professions in their normal environments. This field of research seeks to understand how experts make decisions in uncertain, pressurised, dynamic and ambiguous conditions. Results have led to training within the aviation and healthcare industries that have greatly reduced human error. Decision-making is a key determinant of investment performance. Decisions are often made under dynamic and ambiguous circumstances. Yet whilst the military, aviation and healthcare professions have sought to train decision-making processes in such conditions, the finance profession barely recognises this as a competency in need of development. The investment profession is increasingly attentive to the tendency of decision-makers to succumb to various cognitive and emotional biases when taking financial decisions. Yet a fixation on behavioural economics hinders an understanding of how experts in other decision-critical professions think clearly, especially when under stress. Underlying good decision-making is the ability to think critically. Two systems of thinking have been proposed to be involved in decision-making processes; system 1 is fast, instinctive and intuitive (more on intuition later). System 2 is more sedate, rational and exerts a higher-level control over system 1. Whilst system 1 is efficient and uses up less ‘brain power’, it has one significant drawback; it often leads to sub-optimal decisions if adopted by anyone other than genuine experts. This concept is as applicable to a military pilot as it is to a portfolio manager. The key is to gain insight into how system 1 fails, and how emotional and cognitive biases impact decision-making processes. Within medicine, the cognitive autopsy has been adopted to develop this skill. Yet it is almost unheard of for investment professionals to systematically train decision-making skills. I suspect that most traders and portfolio managers, if asked what role emotions should play in effective decision-making would be in agreement: emotions have no role to play. The key to a good economic decision is rationality, and one should never let emotions such as anxiety from trading losses detract from well-reasoned decisions. Unfortunately, such segregation is impossible. It is now well established within neuropsychology that emotions play a key role in decision-making. Impaired reasoning abilities and impaired emotional awareness are close bedfellows. Rather than compartmentalising emotions, the best traders and portfolio managers (even if subconsciously) are acutely aware of their emotions. Academic research has found evidence to suggest that in contrast to average traders, who act instinctively, experts are more skilled at interpreting intuition. There is nothing magical about intuition. It is, quite simply, expertise felt somatically (ie, in your body). The enteric nervous system, known as the second brain, is found in our gut, with the vagus nerve connecting the abdomen with the brain stem. Hence the term gut feelings. Quite literally, how we feel impacts how we think, and any attempt to minimise or deny this will only detract from good decision-making. Good decision-makers are able to accurately interpret their feelings, skilfully choosing how to respond and make emotions work for them. Given that emotions and decision-making are inextricably linked, it is important to recognise circumstances when emotions can be most powerful: under conditions of stress. As such, understanding the role played by stress in affecting decision quality should not be overlooked. Stress is not all bad. Indeed, a sense of anxiety or nerves is often an effective motivator. It improves focus, sharpens our senses, and in moderate amounts can improve memory. Your working memory consists of the capacity to store and manipulate information for brief periods of time. Just like a computer running too many applications, when we are faced with multiple tasks, our working memory slows down. The same effect occurs in the face of stress. Stress occupies a lot of working memory. An amusing example of this – a friend of mine Matthew is married to Emma. At a social function where he met Emma’s boss, who was global head of trading, a nervous Matthew introduced himself: “ Hello, I’m Matthew, Emma’s wife.” Stress affects our ability to think clearly. Under stress, our breadth of attention narrows, becoming more myopic. Historically, this was an adaptive human response. Our brains decide to focus on the most critical aspects of a dangerous situation and more peripheral features ‘drop out’ of our radar. However, if the stressor is a deteriorating pnl, rather than a confrontation with a lion, this will detract from good decision-making. Furthermore, our senses are affected, with hearing being the first one to deteriorate. Military fighter pilots notice that under intense workload the first thing to suffer is operating radio communications. Not only does our attention narrow, but our attention also turns inwards. We become more self-conscious. Actions that come naturally and instinctively become effortful, and we will become less likely to work effectively in a team. Perhaps the most pertinent point about stress with respect to investing is that the neural systems involved with anxiety overlap with those implicated when making economic decisions. There is evidence to suggest that our tendencies to resort to think heuristically are exacerbated by anxiety. When anxious we are more likely to interpret ambiguous information negatively. Relatedly, there is an association between anxiety and heightened risk aversion – we are more sensitive to loss. This seems to be driven by the fact that when confronted with risky choices, the more attention one pays to adverse consequences (potential loss), the more likely we are to avoid choosing the risky option. Behavioural economics assumes loss aversion. Losses and gains of equal value are not weighted equally during economic decisions. We are more sensitive to losses, and studies have shown that the perspective taken by the decision maker influences our degree of loss aversion. Shifting perspective may modulate the degree to which we exhibit loss aversion. Anxiety impacts how we make financial decisions and our tendency to subconsciously think heuristically. Whilst the investment management community is increasingly focused on behavioural economics and it’s implications on portfolio manager performance, the failure to address the role played by stress (especially given its prevalence) is an omission. Various strategies can be deployed that alter or reduce anxiety. These range from adopting appropriate coping styles (one academic study on stress and traders found the most popular coping mechanism to be alcohol consumption), to strategies that support cognitive and emotional regulation. Another technique that has been shown to be highly effective in improving performance is stress inoculation training. A key concept related to decision-making and stress is that of metacognition. Metacognitive skills enable a performer to monitor and control their thinking. It is as if they can observe themselves dispassionately in the 3rd person. Expertise in decision-making involves developing well-refined metacognitive skills. It is also worth referencing psychometric questionnaires. Despite the popularity of psychometric profiling, with respect to decision-making, although questionnaires may suggest preferred decision-making styles, they have nothing to say about decision-making competence. It is a given that professionals working in financial markets should be technically sound. Derivatives traders need to understand the dynamics of the ‘greeks.’ Equity analysts must understand the distinction between accounting for operating and capital leases. Risk managers should know the limitations of using Value at Risk as a risk measurement tool. Yet at the margin, technical competence is insufficient. As with other decision-critical professions, investment performance is a function of the ability to think critically and follow consistently optimal decision-making processes. Often, this is most important at the most challenging moments. That is, when there is pressure and the environment is ambiguous and dynamic. Practitioners who wish to develop these skills, will benefit from understanding how their feelings influence their thoughts, and gain insight into how they can enhance performance via superior decision-making.